Hardly any animal suffering is bigger than the one in the fur industry. Millions of animals die every year worldwide for their fur. Under catastrophic conditions minks, chinchillas and squirrels are kept in tiny cages to become coats, scarves and jackets. Meanwhile, there are high-quality artificial and vegetable fibers instead of animal textile materials. Here’s a look inside the topic of alternative materials and "cruelty-free". “With the help of HSUS (Humane Society of the United States) and LAV (an Italian animal rights organization), Gucci is excited to take this next step and hopes. It will help inspire innovation and raise awareness, changing the luxury fashion industry for the better", said Marco Bizzarri, CEO of Gucci. Gucci's remaining animal fur items will be sold at an auction. The proceeds are going to Humane Society and the Italian animal rights organization LAV. Together with Fur Free Alliance (FFA) the organization is one of the largest animal welfare organizations in the world. They fight against the suffering of the animals in every way – first of all in the world of fashion, in which they try to be a strong voice for the animals. However, the problem of many other fashion houses is of course the tradition behind the fur. But this so-called tradition, which is also associated with the production, has nothing to do with the original use of it. Mass production put this value into the background. Therefore, it doesn’t seem contemporary anymore, to define luxury by fur. 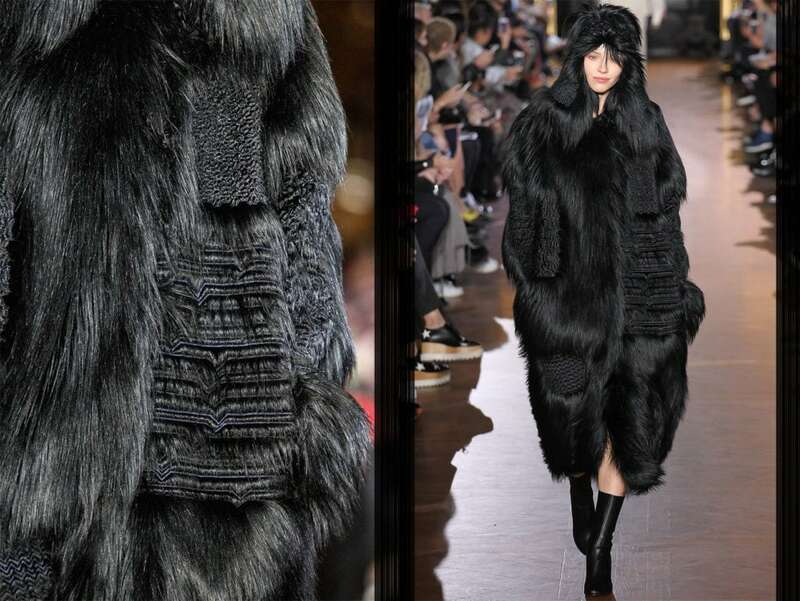 In terms of fur, several designers have already taken the important – and especially the right – step before Gucci did. Last year, the Italian Designer Giorgio Armani committed to stop the use of fur in his collections. According to him, technological progress means that animal cruelty is no longer justified. The US-American label Calvin Klein went fur-free already in 1994. Tommy Hilfiger and Hugo Boss have joined over the years. Last June, the online shopping platform "Net-a-Porter" also committed to renounce on real fur. Moreover, Vogue Paris dedicated this year's August issue exclusively to wildlife and pleaded for a fur-free future. Along with this topic, cover star Gisele Bündchen posed in a fake fur coat with a baby kangaroo in her hand. Of course, an interview with the British designer Stella McCartney was a must for the special edition. The daughter of the former Beatles, Paul McCartney is a vegan since her childhood. The animal rights activist never uses leather or fur in her collections. Even Hannah Weiland, founder of the British fashion label Shrimps doesn’t use any animal materials. Her designs are almost indispensable on the streets of the fashion metropolises. "I don’t understand why you have to wear real fur, when fake fur exists right now – it's just as soft and warm, it keeps the color even better and it doesn’t get dusty." Also, many fashion houses, such as Zara, H&M, Asos, Zalando and COS have dedicated themselves to make fashion without fur. 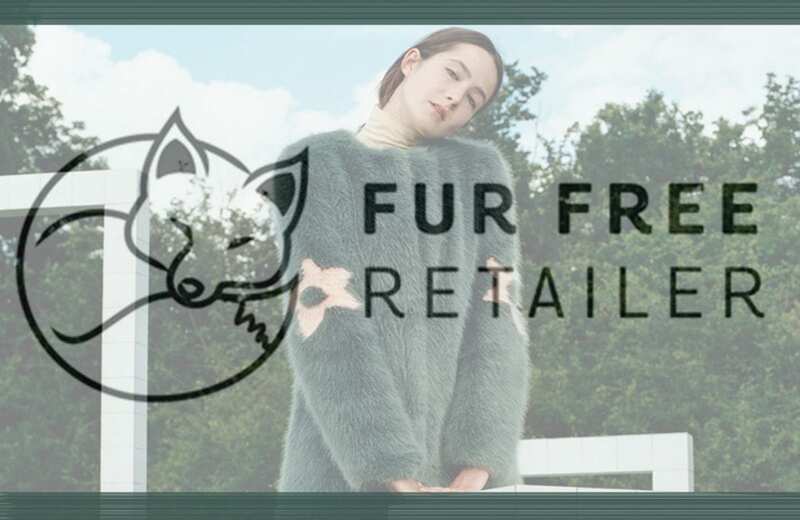 The website Fur Free Retailer has a checked list of the most diverse labels which don’t use real fur. Many accessory labels use exclusively vegan leather based on natural fibers in their products. One of many examples is the Canadian label "Matt & Nat". For more than ten years, they have been promoting their high quality footwear, backpacks and pet-friendly materials. Of course, beauty products should not be missing when there is talk about "Cruelty Free". Animal testing is still a thing in many countries worldwide. Countless cosmetic products are tested in laboratories on rabbits, rats and monkeys ­– just to name a few of the many animals that have to experience torture for the human beauty. Actually, this kind of suffering should not be an issue nowadays. Fortunately, there are also positive examples: H&M completely abstains from animal experiments. 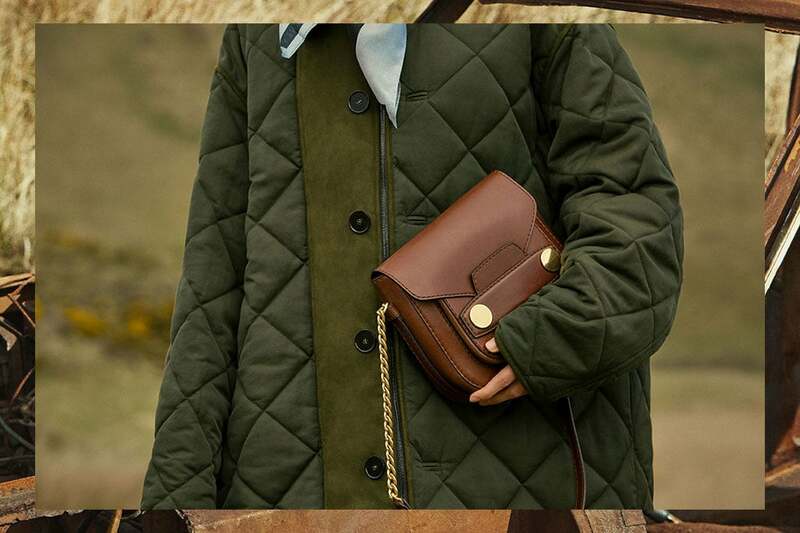 With their Animal Welfare Policy, the fashion label explains that they refuse anything with ethically incorrect fashion – so is the motto for their beauty products. Well, the French cosmetic brand Sephora acts a role model for animal friendly makeup as well. The American tattoo artist and animal welfare activist Kat von D has been designing a beauty line for the group since 2008. Today, all of these products are vegan. Thanks to the great reach of Sephora, they belong to the most well-known vegan cosmetic products. One of the pioneers in "cruelty-free" beauty is the Australian brand "Adorn Cosmetics", which has been vegan for almost ten years. Other names that follow these examples can be found on the list of the largest animal welfare organization PETA (People for the Ethical Treatment of Animals). So Apparently, Gucci was not the first brand to turn rethinking into action. 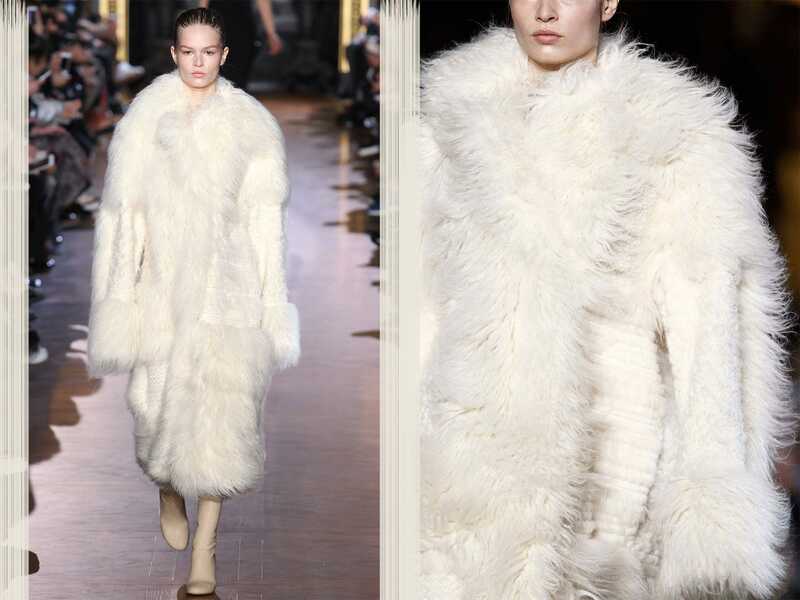 Nevertheless, the decision of the Italian fashion house represents a force that will hopefully attract many other labels, because there are way enough fake fur friendly alternatives. Posted in News and tagged Animal Friendly, Fake Fur, Faux Fur, Fur, Gucci, News, Organic. Bookmark the permalink. Such an interesting post! I think it is so good that so many options exist nowadays, to avoid products made by hurting animals. This is so good of Gucci to take action like this, so many other luxury brands should definitely do this too! Thanks for sharing this post! I am all about faux fur and leather. Indeed, this is something we can all rally behind. Animals dont have to suffer for people to look good. Thanks for sharing this dear. Traditionen müssen ja nicht immer beibehalten werden. Gerade dann nicht, wenn es um so ein Thema wie Pelz geht, wofür Tiere leiden müssen. Finde ich echt super, dass viele Designer dies erkannt haben. Love this post so much! All about the faux fur and leather. thank’s for your comment. have a nice day!